As electronic lock manufacturers up their design game, Kwikset gets to work. Turns out Yale isn’t the only company working on a streamlined touchscreen lock that, once installed, won’t make your front door look like the entrance to a bank vault. With the attractive Obsidian deadbolt, Kwikset enters a fray that is rapidly filling with competitors. 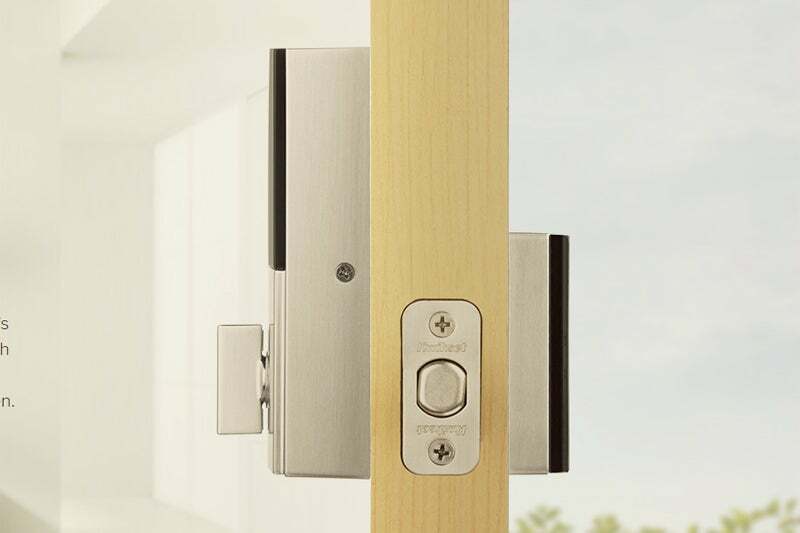 While it’s a standalone lock with no wireless features or app connectivity (a Z-wave Plus version is in the works), it’s a great-looking product, its exterior escutcheon just a millimeter or two thicker than the otherwise similar Yale Assure SL. It’s slightly shorter, but slightly wider than that lock. As with most electronic deadbolts, the Obsidian has an industrial-looking interior mechanism. Unlike Kwikset’s Kevo, there is no keyed-entry option on the Obsidian. To get in you need a PIN code; otherwise you’re locked outside, period. 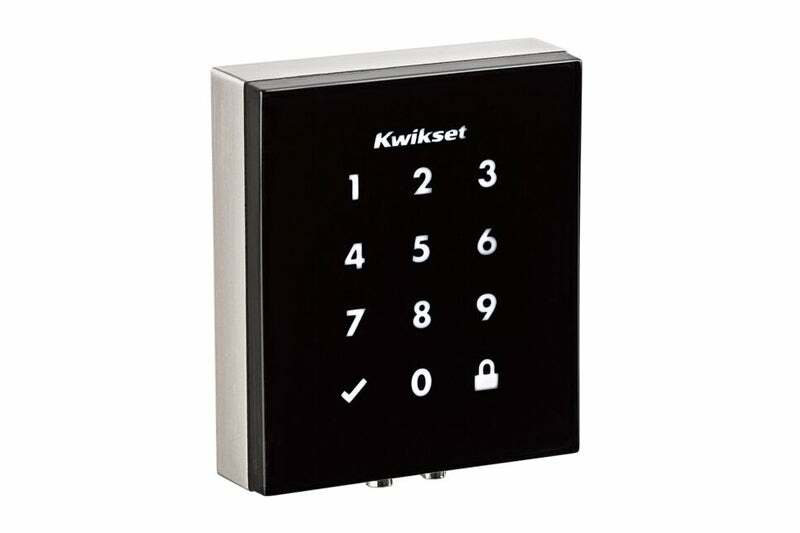 The device supports up to 16 PINs, and since this is a standalone lock, those PINs can’t be restricted based on time or day, nor set to expire after a certain amount of time. As with the Assure SL, that limits the utility of the lock; Airbnb types and those looking for a history of who comes and goes will need something more robust. Installation could have been easier. The package includes a broadsheet of printed instructions, but even for a seasoned lock installer like myself, they weren’t easy to follow, with some bolts unlabeled but with everything packaged in an infinite number of tiny plastic bags. While the various pieces go together the same way as other locks, the Obsidian’s bolts and bolt holes just don’t connect as easily as they should. I nearly stripped the heads off the bolts trying to get the escutcheons flush against the door and had to disassemble and reassemble the unit more than once to get it all to fit. This seems like a machining problem to me, though in the end, I was successful at getting everything tight and snug. The Kwikset Obsidian's size and design are comparable to the Yale Assure SL. In regular use, the Obsidian offers no surprises. PINs can be four to eight digits long, and the touchscreen is responsive while entering them. Managing PINs requires a series of steps using the keypad (so don’t lose the instructions), and advanced options (like setting auto-lock or turning off the audio) is done via dip switches on the interior escutcheon. In my testing, the lock mechanism was quite loud, but it never jammed or exhibited any other error states. Overall, it worked just fine. While it’s short on bells and whistles (though, like the Yale Assure, it features an emergency 9-volt terminal on the exterior escutcheon, so you can still get inside if the AA batteries die), it’s a capable lock that works well enough. That said, it’s quite expensive for a non-connected lock, which is perhaps fitting for a lock that has been designed as much for its looks as it has been for how it works. Postmodern in design, this is one of the best-looking locks on the market (at least on the outside). But you’ll have to wait for a connected version.